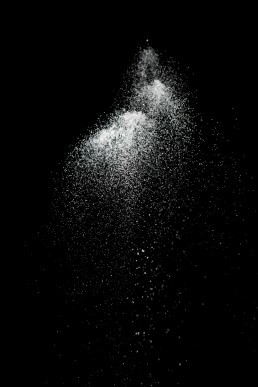 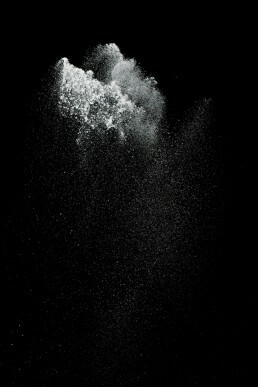 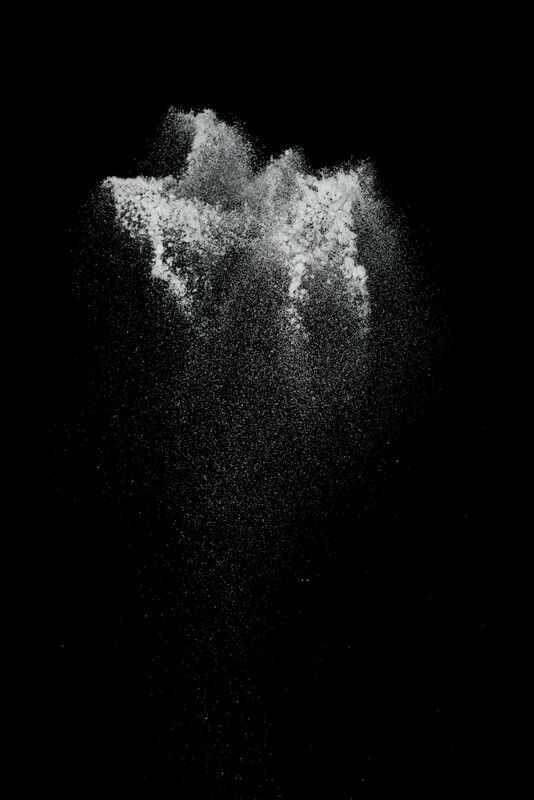 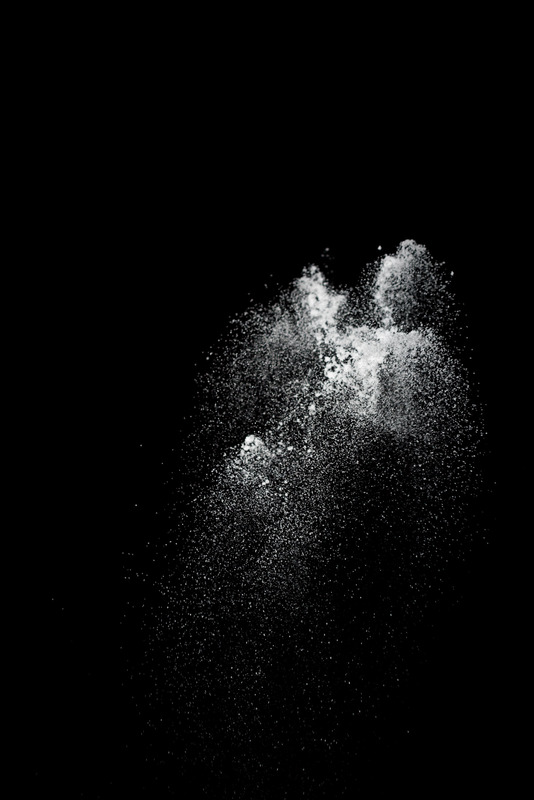 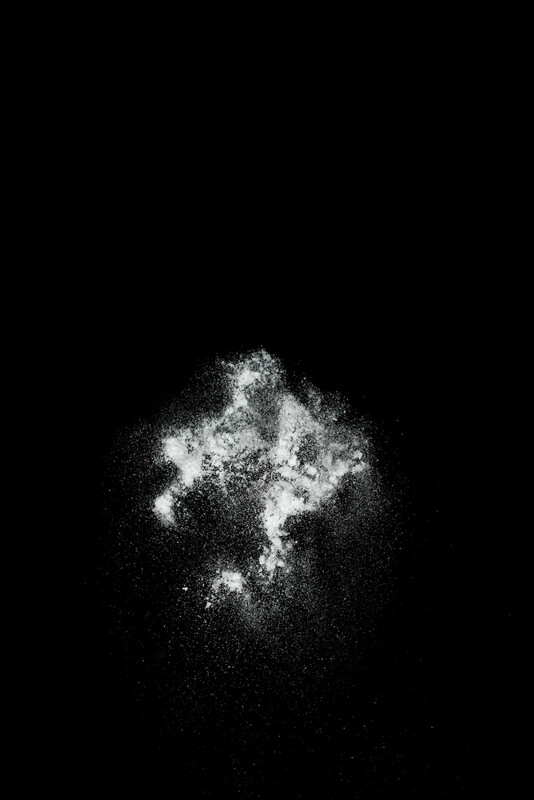 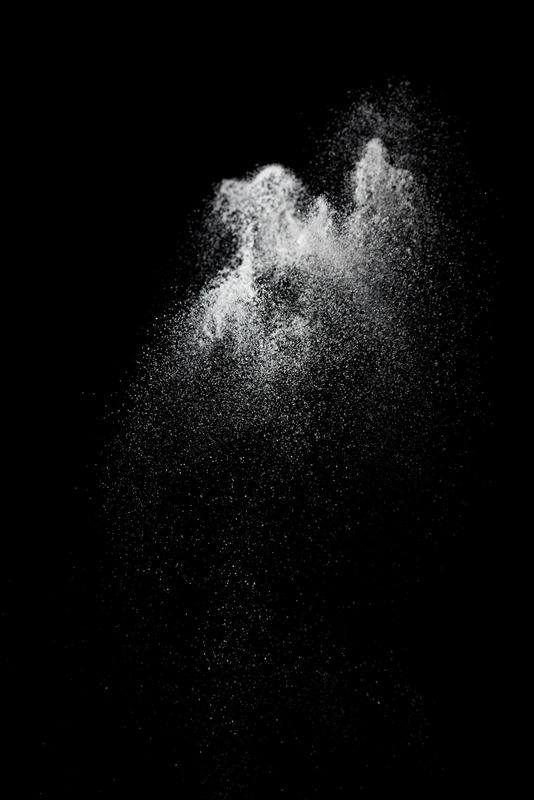 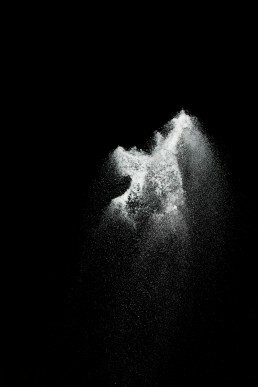 The Sugar Galaxy formula is simple, table sugar is thrown into the air at night and captured in a photograph. 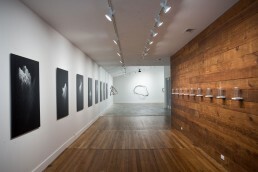 Printed on an aluminum substrate, the prints are not a typical photographic medium and seem to float off the wall. The Sugar Galaxies play with a contradiction of scale, appearing both massive and miniature, both instantaneous yet timeless. Sugar molecules are among Earth’s most functionally diverse molecules. From a small set of simple building blocks, wildly different molecules have arisen to form complex plant and animal tissues. 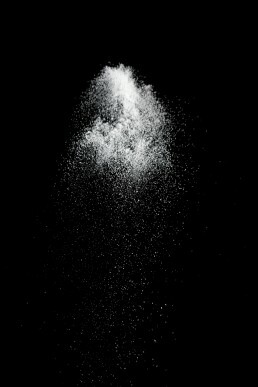 These pieces work to emulate that example, capturing the massing and dispersal of humble monomers.